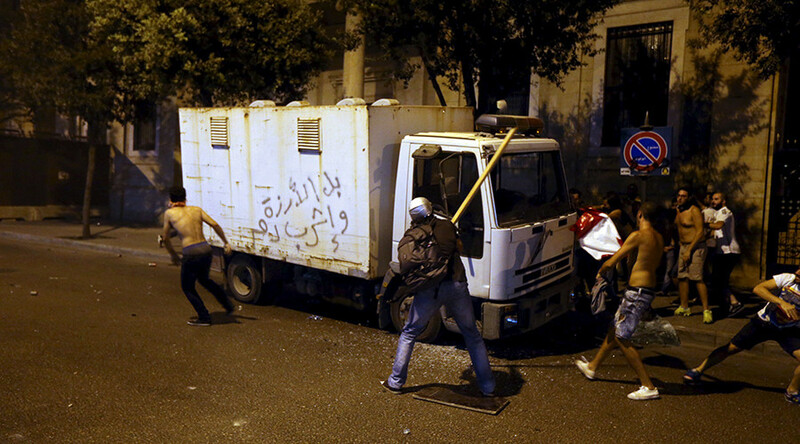 Water cannon, rubber bullets and tear gas were deployed by police in the Lebanese capital, Beirut, on Saturday as crowds gathered to protest against the government’s inability to deal with the rubbish collection problems plaguing the city. Thousands gathered in downtown Beirut on Saturday to demonstrate against governmental dysfunction which has led to garbage piling up on the streets, AP reported. 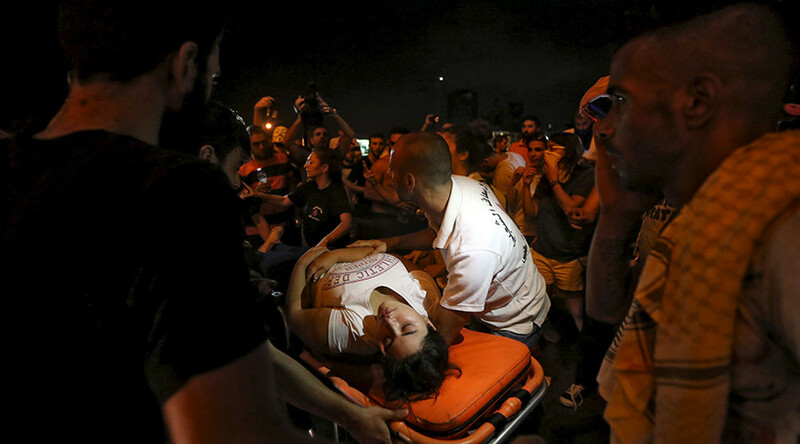 There are conflicting reports about the number of injured during the violent clashes. AFP reported 16 injured, citing a Red Cross official. According to an online statement from Lebanon's Internal Security Forces (ISF) "more than 35 ISF members and a number of protesters were injured during the dispersal of the protest." Law enforcement told Reuters that the 35 injured included both protestors and police officers. The sound of gunfire was continuously heard through the streets, AP reported, adding that its correspondent also saw riot police using batons to beat back protesters. Although the protest – the biggest yet since waste began accumulating after the city's main landfill was closed a month ago – was said to be about the trash crisis, demonstrators also shouted political slogans demanding the overthrow of the government. 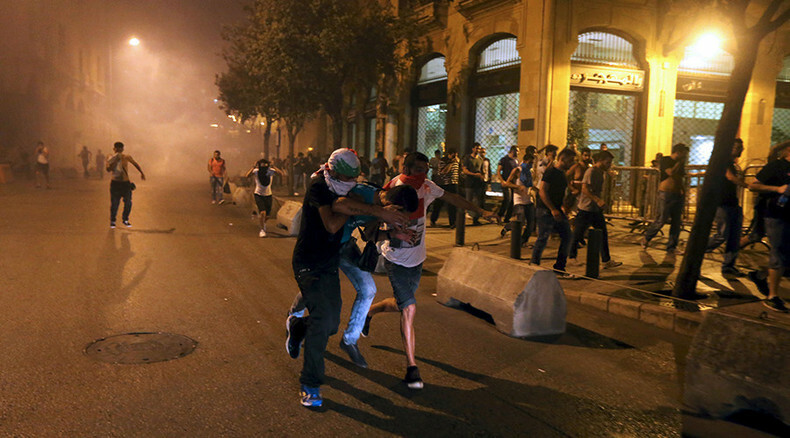 "The people want to topple the regime," AP reported the protesters shouting. The same slogan has been widely used by protesters during Arab Spring uprisings across the region. "Some trash should NOT be recycled," a slogan carried by some protesters read, being written in red over photos of Lebanese politicians. A group called "You Stink!" was among the protests' organizers, who blamed the situation on the corruption and described the garbage crisis as a sign of dysfunctional administration, which should be taken down. "There were no violent acts or tendencies by the protesters, and people were there with their families in a very peaceful climate," one protester told The Daily Star. The demonstrator was attending the rally with her two children, and said she "could not believe that they would act with this brutal behavior." "We are so sad for this situation, Lebanon does not deserve what is going on, Lebanese people do not accept to be treated like this," another protester, Mouin Shraif told AP. While some residents have been burning trash on the streets, others started dumping their rubbish in valleys and rivers, leading to the country's health minister warning of a possible catastrophe in the region. Protesters have taken to the streets to rally against the situation, with another large demonstration having been dispersed by police earlier this week. “The authorities should immediately open an impartial investigation, ensure accountability for any excessive use of force, and refrain from repeated violence against demonstrators who are protesting the government’s failure to resolve a trash removal problem,” the international NGO said in a statement. The presidency has been vacant in Lebanon for over a year, and the government of national unity has been maintaining the position of central authority in the country. Amid war in neighboring Syria, the 2009 elected parliament in Lebanon has extended its term on the grounds of regional instability, postponing parliamentary elections until 2017.